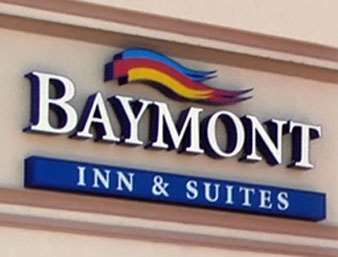 For hometown hospitality minutes from Little Bay de Noc on Michigans Upper Peninsula, stay at Baymont Inn and Suites Escanaba hotel. Located off Routes 2 and 41, and a mere 10 miles from both Delta County and West Gladstone Airports, this lodging facility is well-situated for both business and leisure, and convenient to Little Bay de Noc, Escanaba River State Park, Island Resort and Casino, Delta Plaza Mall and several restaurants. Amenities include an indoor pool, whirlpool and sauna, free passes to a local gym, daily complimentary continental breakfast, complimentary wireless internet access and ample complimentary parking. Meeting space is also available and pets are welcome for a nominal fee. Guest rooms feature plush bedding and coffee and tea making facilities, and suites with jetted hot tubs, sofa beds, and full kitchenettes are also available for those needing extended stays, or extra space.